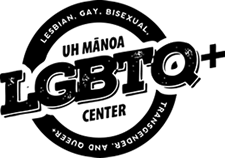 Lesbian, Gay, Bisexual, Transgender & Queer+ (LGBTQ+) Center strives to maintain a safe and inclusive campus environment that is free from harassment and discrimination. Our purpose is to empower students to create healthy living-learning communities, enhance interpersonal growth, and celebrate academic achievement. We offer daily direct services, advocacy and a study lounge, M-F, 9:00am-5:00pm. Together we can create a kinder Mānoa! 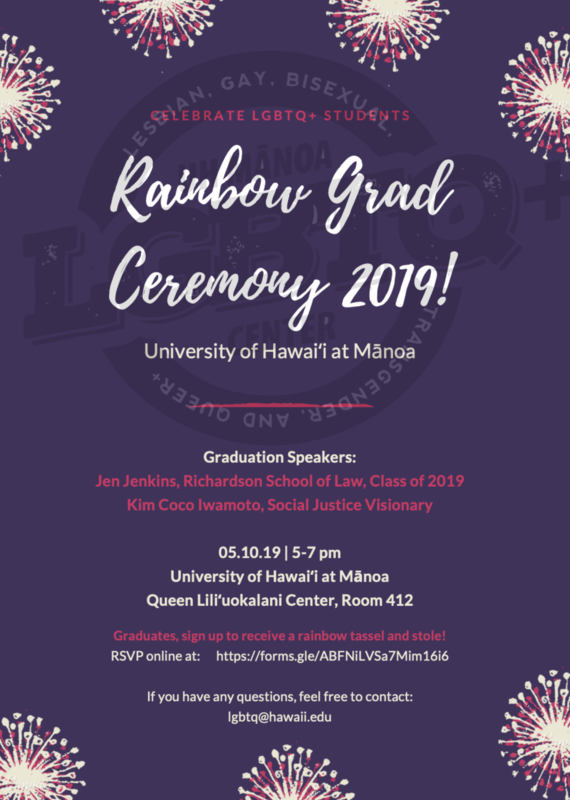 Announcing the schedule for Safe Zone Training on LGBTQ+ safety and inclusion at UH Mānoa. Please register today (link below). Completers of the training will receive a Safe Zone sign to indicate their participation in this program aimed at addressing campus climate, microaggressions and equity. Anyone looking to address oppression and be part of a university-wide campaign to build a safe and welcoming campus community for LGBTQ+ people. Women's Center is a SEED department in the Office of Student Affairs at the UH Mānoa.